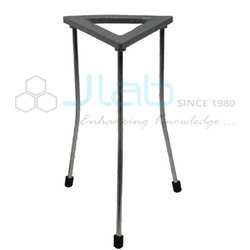 Specifications : Consists of three metal pipe legs approximately 5 meter long connected by a tie bolt. Each leg is made of two parts of ease of transport. Complete with one pulley. One leg has built in ladder. This can be used in drilling operations to increase the footage and improve job safety. We are one the leading manufacturer and supplier of Tripod with high-quality of material used as per the industry standards. 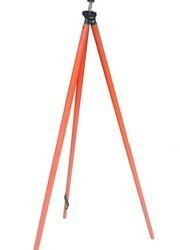 - Model 5145 Tripod Stands are made toV hold the antenna. - This is useful for plotting the polar pattern of antenna.